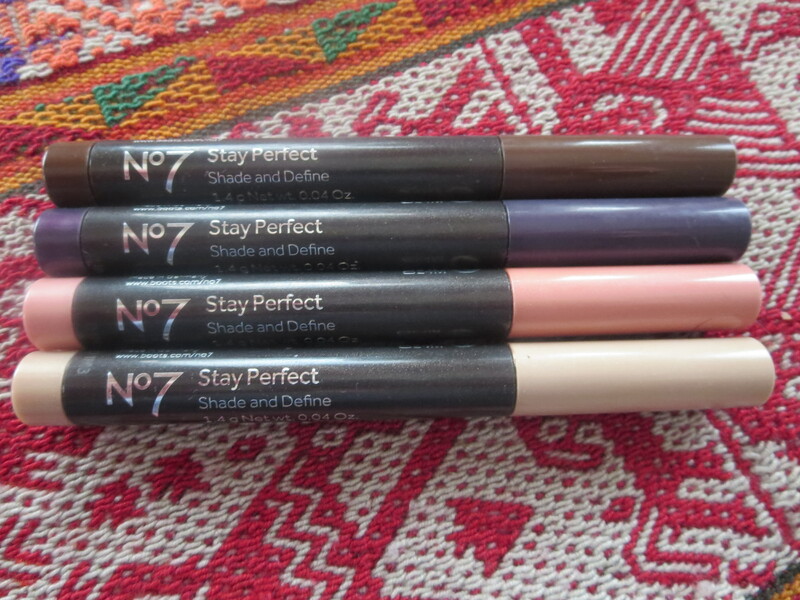 The No7 Stay Perfect Shade and Define Pencils*. Great colours, great formula and great staying power. I was not expecting to like these as much as I do. Having had fairly disappointing experience with the No7 Stay Perfect Amazing Eyes Pencil (the difficulty in getting any colour on the lid). I was fairly ambivalent. 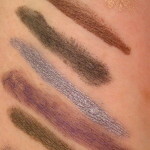 The brown and purple are perfect for a smoky or shaded eye. 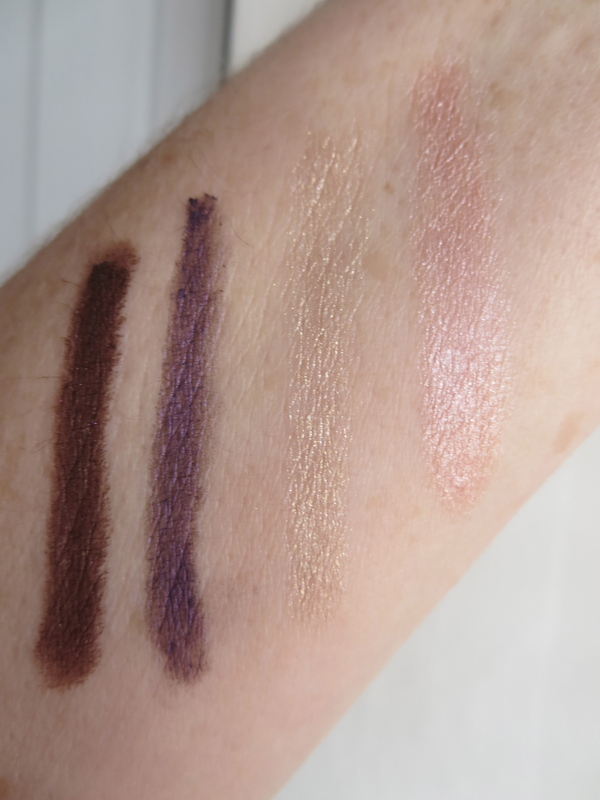 Applying and smudging with ease with just the tiniest hint of shimmer. Very attractive. Once set they do not budge until you remove them. But I absolutely adore the pale shimmery pink and gold colours. They are perfect for spring and will be wonderful in summer when you have some colour to your skin. They are very shimmery and very pretty and flattering. I have been wearing all 4 for most of the past two weeks. 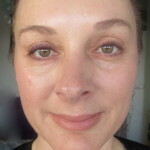 As above, I have been doing a smokey or shaded eye with the darker colours. The shimmery colours I have been using all over the lid to frame a lovely lashy look. See below for pictures. I highly recommend these pencils. I will be investing in the other 4 colours for sure. 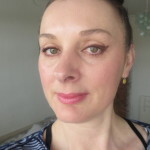 This entry was posted in Make Up and tagged No7 by Mamasim. Bookmark the permalink. Thanks Mamasim. I always like your makeup tips! Oh thank you Emily. 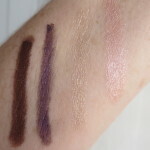 You should check out my makeup blog. 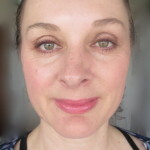 http://middleagedmakeupaddict.com. They do look nice. I have tried the other pencils you mentioned and did not find them very good so I will have a look at these. Pity they havent done a navy blue so big this season but I really like the gunmetal and the coffee bean. Looks like a trip to my local boots at lunchtime. Yes, I will be getting the Gunmetal along with the other three. I think they are gorgeous! Looking good as always! 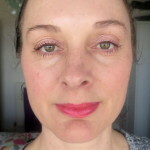 What is the pink lipstick in the shimmery photo you are wearing? Oh thanks Nessy! 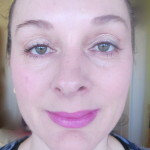 It is Clinique Chubby Stick in Pudegy Peony. Great colour for spring and summer. Loving them. I have the brown and the black. Really easy to use. Yep they sure are. I will be getting the black too….! Yum. Definitely want the gold and the pink! I really, really love these colours. Sooooo pretty and flattering. Have fun! Enjoy them! Great colours for a smokey eye Sarah.